I like crafts that won't take all day. So I found two on pinterest that really interested me. I'm all about the holidays, and this wreath looked just my style. Seemed cheap and easy, just what I like. Although don't be deceived, it wasn't all that cheap, I had to buy 7 boxes of Peeps! But the whole thing cost me under $20, so I guess that's a win. I'm not a fan of actually eating Peeps, but they turned out to be cute decoration. And the whole thing took me 20 minutes start to finish during Cheyenne's nap. My kind of craft. Our kitchen is small tiny so junk anywhere is using up precious counter space. 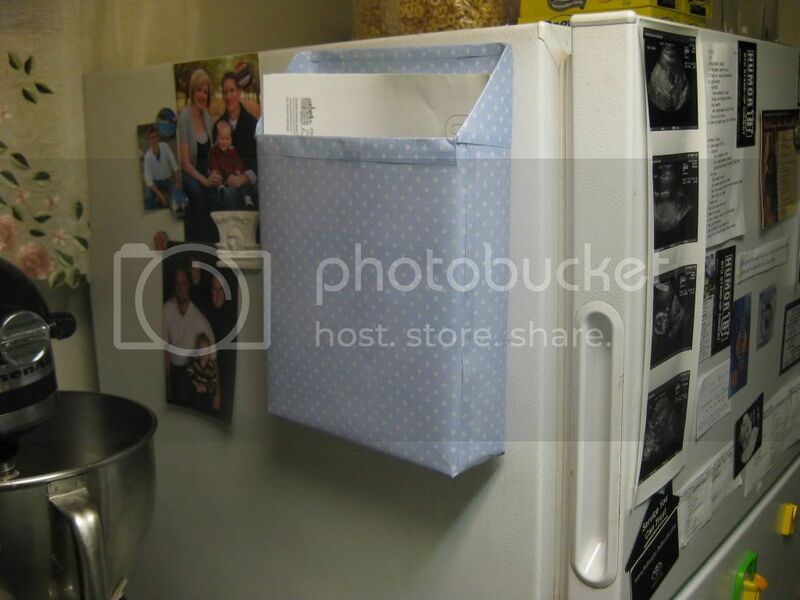 I saw this idea and knew I could definitely use it. The whole thing cost about $5, since I bought magnets that adhered to the back. And you guessed it, it only took about 10 minutes. It's not as cute as the tutorial, but it does the job and that's what I like. Luckily this cute little helper was asleep while I was doing these projects. Otherwise half of those Peeps would be gone and that box would be ripped to shreds. 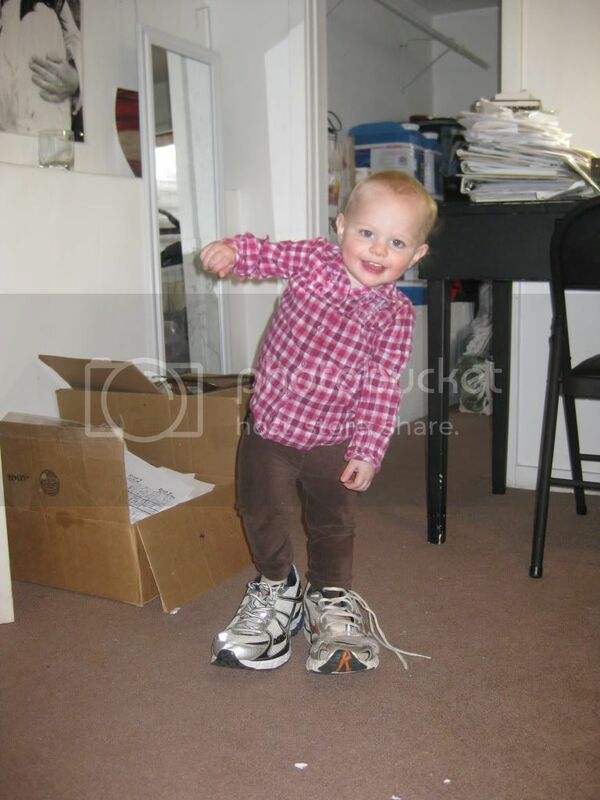 Here she is trying on her daddy's shoes. good crafts. You are my only crafty sister. And I just noticed that you and I are the only two who part our hair on the same side. Bossom buddies! 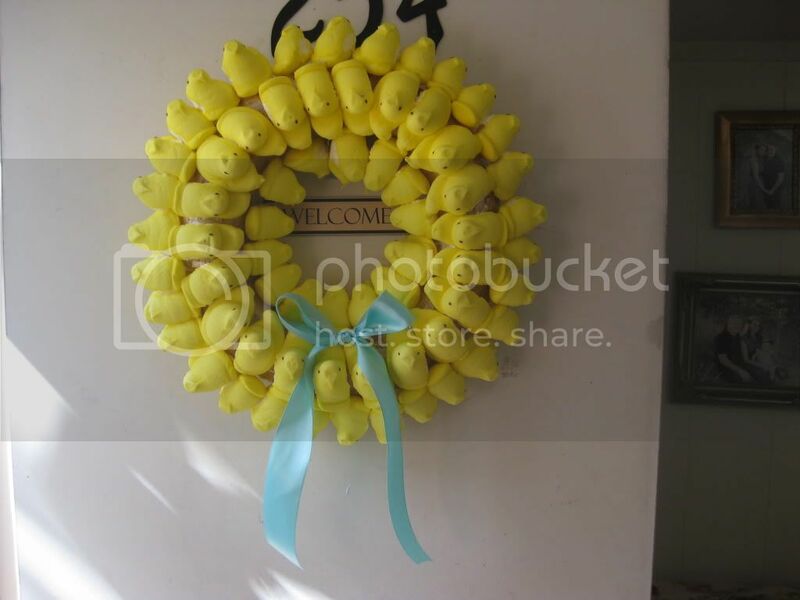 Fun crafts, but do you have to throw the peeps one away after Easters is over? Or will you just let Cheyenne have at it? I want to see a picture of that!